much more than a tiny tabbed link on my website, the giving back ministry of allison lewis photography is as vibrant and vital to this business as i am. BUT, i’ve sorely neglected to keep you updated on how your giving has and is continuing to change lives and that’s something i want you to know…something that you need to know. it’s a beautiful story, but before the beauty came a tragic time that, to this day, still has the power to take my breath away. i won’t tell the story here since i’ve shared it before but a prayer changed our lives then our baby’s death wrecked our hearts. before long, though, the lord began to create beauty from those ashes and then he gave us an incredible gift through another adoption and a unity of heart with mothers and babies half a world away. and THAT is where allison lewis photography finds itself today…sharing about those exact same families and the many, many ways that YOU are loving and caring for them. child survival programs around the world assisted in nearly 3,000 live births during the 2013 fiscal year. of those births, 87 percent occurred under the care of a skilled birth attendant. according to UNICEF, only 48 percent of births in the world’s least developed countries occur in the presence of a skilled attendant. the child survival programs identified and treated 15,066 cases of respiratory disease, 6,154 cases of diarrheal disease, 4,414 cases of malaria, and 3,848 children for malnutrition. according to the world health organization, these illnesses — pneumonia, diarrhea, malaria, and malnutrition — are the top killers of children under the age of five (including our baby). from april 1-june 30, 2013, 98 percent of births in our child survival programs were full-term, with 94 percent of babies born within normal birth rates. so what exactly has your impact been on the mothers and children of sadamo genet through your work with allison lewis photography? beginning in january 2012, my husband and i prayerfully made the commitment to give a portion of each booking to support a variety of children throughout africa in addition to those precious families that we had met and begun to love during our time in ethiopia in 2011. compassion worked with us to set up a direct link for the child survival program and then in late 2012, allison lewis photography hosted judah’s hope, a fundraiser supported by many local businesses, to share photos and stories from the women and children we spent our time with during our first trip. the lord has poured out blessings on those projects every step of the way, and since their inception in january 2012, because of your support and by his grace, over $13,000 has gone to change – and sometimes to literally save – the lives of many, many women, babies, and children. when hlaa found out she was pregnant with her first child, she was terrified. she and her husband, a bricklayer who earns only about 50 cents a day, often went hungry themselves. how could they possibly feed another mouth? and giving birth at the clinic in their village (a cost of $43) was out of the question. during hlaa’s seventh month of pregnancy, compassion opened a child survival program in her village. program workers sought out pregnant women like hlaa and immediately went to work, providing everything they needed – from nutritious food to lessons in newborn care – to ensure that their children-to-be would not just survive, but thrive in every way. thanks to this lifesaving program, hlaa could finally let her love for her unborn child grow, and when she gave birth in the local clinic to a healthy little girl, her fears melted away, giving way to dreams about a bright future for her precious daughter. 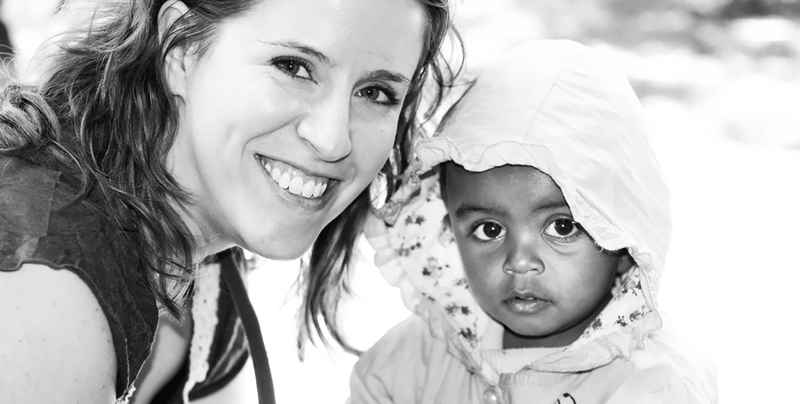 want to know more about compassion international’s child survival program (CSP)? read about it HERE and please consider GIVING TOWARD THE JUDAH’S HOPE CSP in addis ababa, ethiopia. while you’re at it, please share this post with your family and friends. i would love to see a large community of people supporting these incredible women and children!